Wirehive takes office property at Farnborough Aerospace Centre | Curchod & Co.
BAE Systems Limited, advised by Curchod & Co and CBRE, has let part of Chester House at Farnborough Aerospace Centre to Wirehive Limited. The provider of bespoke online hosting services has taken the 6,206 sq.ft. 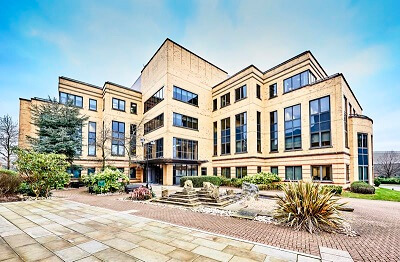 office suite on a five year lease at a headline annual rent of £117,914 (£19.00 per sq.ft.). Curchod & Co’s Nick Reeve said: “As one of the premier business parks in the South East, Farnborough Aerospace Centre continues to attract a wide range of global corporae occupiers and SME’s. This latest transaction is a reflection of the business park’s reputation for superb connectivity and transport links”.